This special keepsake makes the perfect gift for a best friend! Get them something a little different on a special occasion. 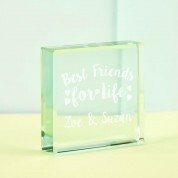 Our cute engraved glass block is jade tinted and the stylish text reads “Best friends”. 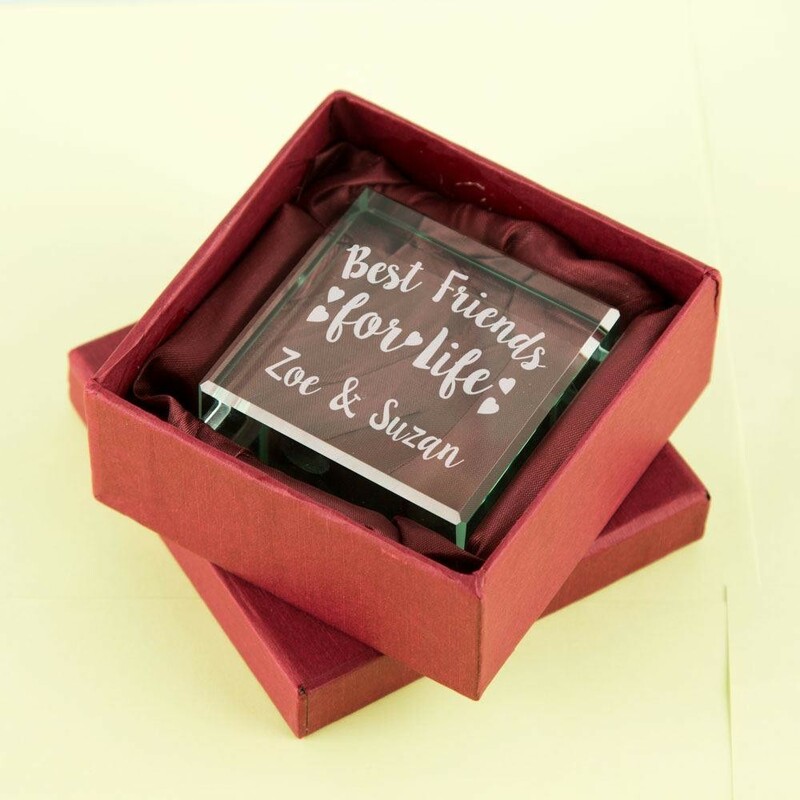 It is made complete with love hearts surrounding the text. 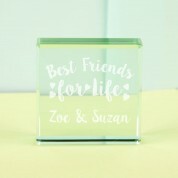 The names of the two best friends are included in the same scripted font below. We think this would make an excellent gift for a birthday or at Christmas time. A timeless keepsake that will be enjoyed for years to come.